While the Grand Palace, Wat Phra Kaew (Temple of the Emerald Buddha) and Wat Arun (Temple of Dawn) should be on everyone’s Bangkok sightseeing list, there are plenty more treasures to discover in a day or two. Explore the canals of Thonburi, where you can still see traditional Thai puppetry at Baan Silapin, or check out Bangkok’s Portuguese legacy at the Church of Santa Cruz. Ferry up the Chao Phraya River to car-free Koh Kret island, famed for its pottery, or head to the Museum of Siam, a good introduction to everything Thai. Prepare to feast in one of the world’s best food cities. Gaggan, the Indian molecular masala eatery, and Nahm, master chef David Thompson’s five-star ode to authentic Thai fare, are both world-class restaurants. 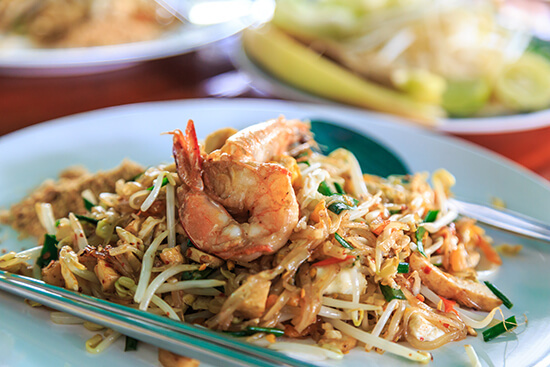 Don’t miss out on the superb – and excellent value – street food though. Stroll down Charoenkrung Road and sample from vendors who have been in business for generations. Prachak has been serving roast duck since 1897 and nearby Jok Prince doles out century egg (preserved egg) congee each evening. Chinatown’s Yaowarat Road is also food hawker central, and at Faikeaow Yaowarat the chef takes wok cooking to new levels with his sizzling performances. The stalls at Or Tor Kor Market will satisfy just about any Thai food yearning. It’s not just the culinary scene that has become the city’s pulse – Thai bartenders regularly win worldwide mixology competitions. Drink guru and ‘mixsultant’ Joseph Boroski has opened his own speakeasy, J. Boroski, and he’s not the only one. 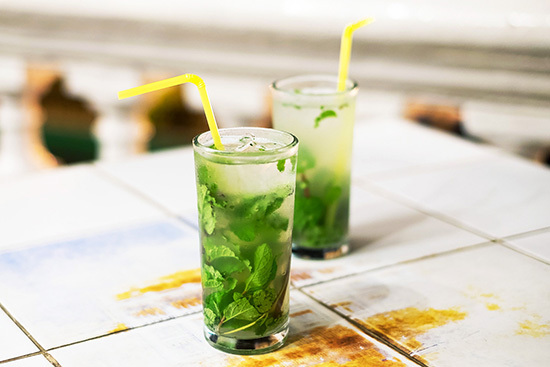 Creative homemade infusions and tiny hideaway bars such as Rabbit Hole and Backstage Bar are just two reasons to head to trendy Thonglor, Bangkok’s hippest drinking and dining neighbourhood. Escape the traffic and heat and head up to the heavens, where 360° panoramas await. Vertigo and Moon Bar in the Banyan Tree hotel offer jaw-dropping views of the city lights, while Distil and Sirocco in the Lebua at State Tower overlook the entire Chao Phraya River. To see Bangkok from its highest vantage point, pay a visit to the revolving, 304m-high observation deck of the Baiyoke Tower II. 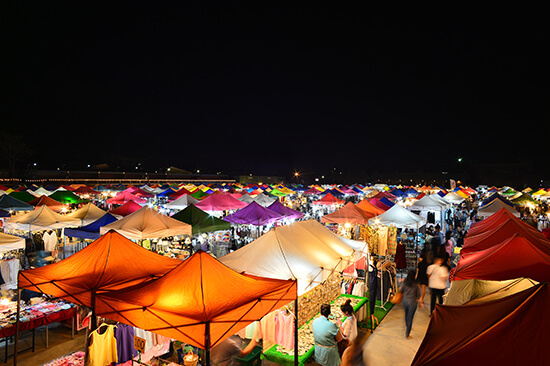 For first timers, a visit to the mother of all outdoor markets, Chatuchak, known affectionately as JJ Market by the locals, is a must. You’ll find everything under the sun here, plus people-watching at its best. Talad Rot Fai I and II offer something different. Known as the ‘retro hipster’ markets, this is where VW cocktail buses sit next to crates of old LPs and vintage bikes. Bangkok’s famous malls, such as Siam Paragon and the glitzy EmQuartier, are home to just about every designer shop you can think of. If you crave something more local than Louis Vuitton and Gucci, head to Thai design maverick Senada Theory or do some silk shopping at Jim Thompson. Book it now... To add a stopover or a longer stay in Bangkok, call our Experts on 0800 258 5773 or make an appointment to see us in-store.